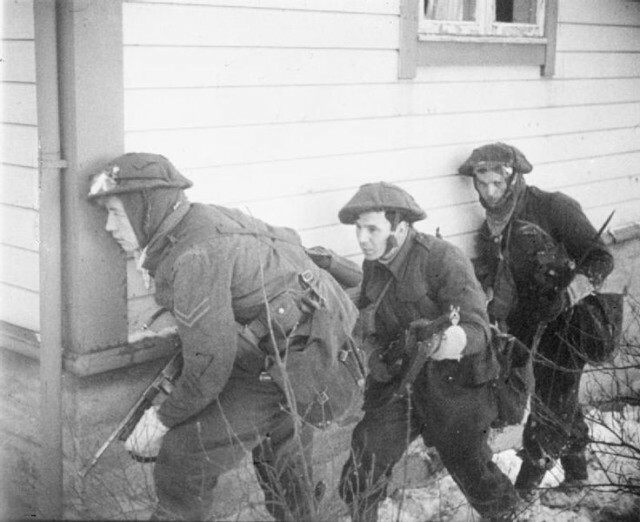 In 1941, Britain raided Nazi-occupied Norway, making use of a new and still untested force – British Commandos. The aim was to boost British morale and deprive the Nazis of a vital commodity – fish oil. As a result, of this raid German’s work machine suffered. From the moment Germany started WWII in 1939, it was unstoppable. One of its early conquests was Norway in April 1940 and the Nazis set up a collaborationist government under Vidkun Quisling, so those who supported Nazi occupation became known as Quislings. Though Britain held out, it was isolated since America was still neutral. Russia finally entered the war in June 1941 after the Nazis invaded. But that was little comfort to a Britain that had suffered one humiliating defeat after another in the early years of the war. 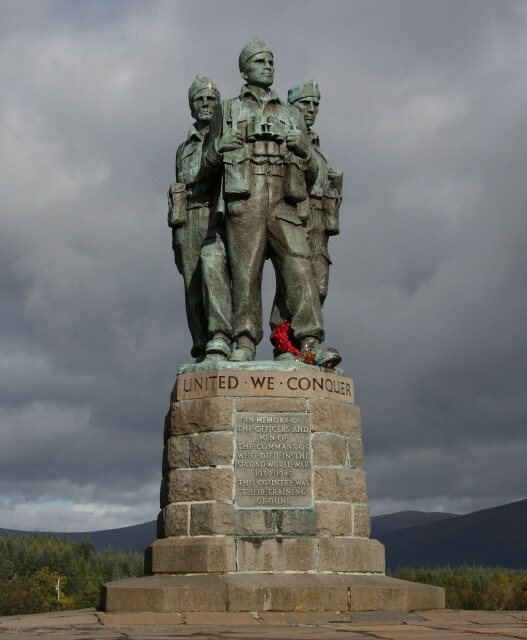 Desperate for any advantage, Britain formed a Commando Unit in June 1940. While the Army fought conventional warfare supported by the Royal Navy and Airforce, commandos conducted raids on enemy territory for sabotage, intelligence gathering, and propaganda. 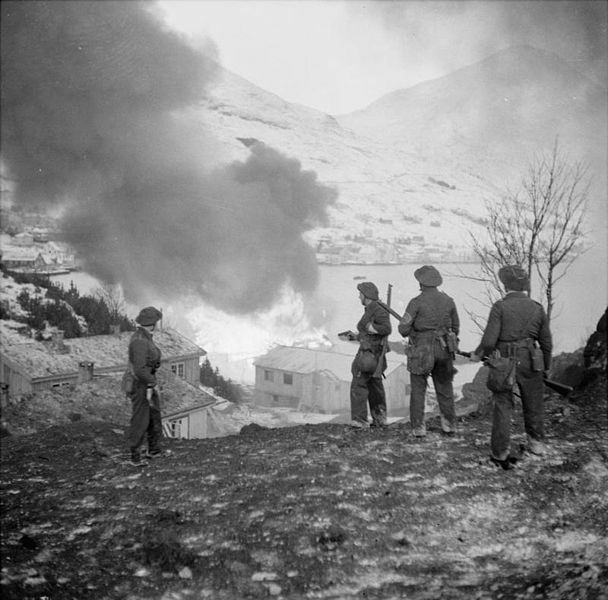 Trained in Scotland, they first saw action at Operation Claymore – a raid of the Lofoten Islands in Norway. The Norwegian economy depended on fishing, as well as fish and whale oil. These were used as food supplements for German troops and more importantly as a source of glycerin for explosives. Since the Lofoten Islands produced 50% of the country’s total output, they became important to Germany. 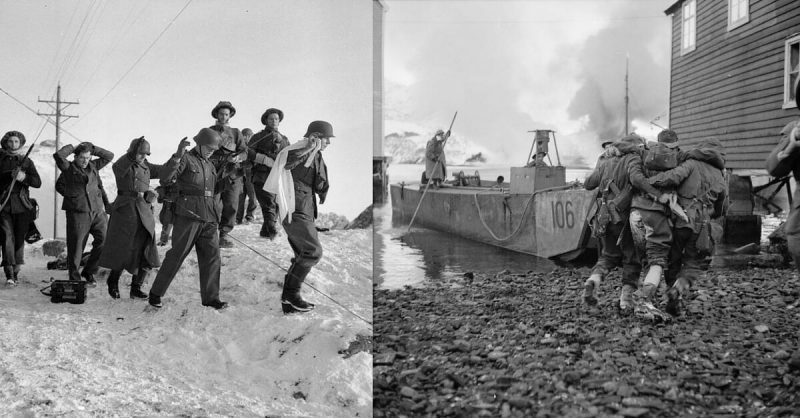 On 4 March 1941, the Royal Navy transported the commandos to Norway. Met by members of the Royal Norwegian Navy, they made their way to the Lofoten Islands where they destroyed factories, 800,000 gallons of oil and glycerin, as well as 11 ships with 18,000 tons of supplies. They also captured 228 German prisoners, several Quislings, and returned home with 314 Norwegians who wanted to help the war effort from Britain. The British suffered only one embarrassing injury when an officer accidentally shot himself in the foot with his own gun. Thankfully, he wasn’t a commando. Most importantly, they found a set of wheels used for the Enigma cipher machine and code books from a German armed trawler. This helped the Bletchley park codebreakers massively in their quest to decipher German communication codes, giving the Allies a massive advantage over the Germans. It also showed that commandos were valuable and an asset in the battle against Hitler. Prior to Claymore, the Army, Navy, and Airforce couldn’t figure out what to do with this unit. There were also many who disapproved of their use, believing that war had to be conducted in a “gentlemanly manner,” not through sabotage. After that raid, commandos became an integral part of the military and they played a major role in the defeat of Germany. Buoyed by that success, Operation Archery was launched on December 27 1941. To ensure its success, a diversionary raid called Operation Anklet was also launched – again on the Lofoten Islands in the hope that the Germans would not expect lightning to strike twice in the same place. The original plan called for attacking the city of Trondheim to take the pressure off the Russians and to protect Allied shipping to Murmansk. But Trondheim was too heavily defended, so Archery targeted the town of Måløy in South Vågsøy, instead. Archery aimed to take out German positions, destroy fish factories, and force the Nazis to send more troops to Norway so they could not be deployed on the Eastern Front, Unlike Lofoten, which had been lightly defended, Måløy had a large German force because it was strategically located between Trondheim and Bergen. Rear Admiral Sir Harold Martin Burrough and Brigadier Charles Haydon were the naval and military commanders in charge of Archery. Under them was Commando Units No. 2 and 3, a medical detachment from No. 4, and Royal Engineers from No. 6 who were specialists in demolition. Captain Martin Jensen Linge of the Royal Norwegian Army was also with them, along with other Norwegians opposed to the Quisling regime. The team boarded the cruiser HMS Kenya, the HMS Prince Leopold, and the HMS Prince Charles on December 24 at the Orkney Islands, but it was a bad start. Rough weather forced them to shelter in the Shetlands where they spent Christmas Day. The next evening, they headed to Norway. At 7:00 AM on December 27, they met the submarine HMS Tuna at Vågsfjord, and by 8:48 AM, they attacked the coastal defenses. Intelligence claimed that these were manned by 150 Germans of the 181st Division and a single tank. Fighter planes could also be dispatched from the nearby bases at Herdia, Stavanger, and Trondheim, but there were no warships docked. What they didn’t realize was that units of the Gebirgsjäger (German mountain troops) were spending their Christmas vacation in Måløy. The RAF took off from Wick, Scotland and dropped smoke bombs to shield the troops landing on the beach, while others fought off enemy planes. The Commandos split up into five groups. 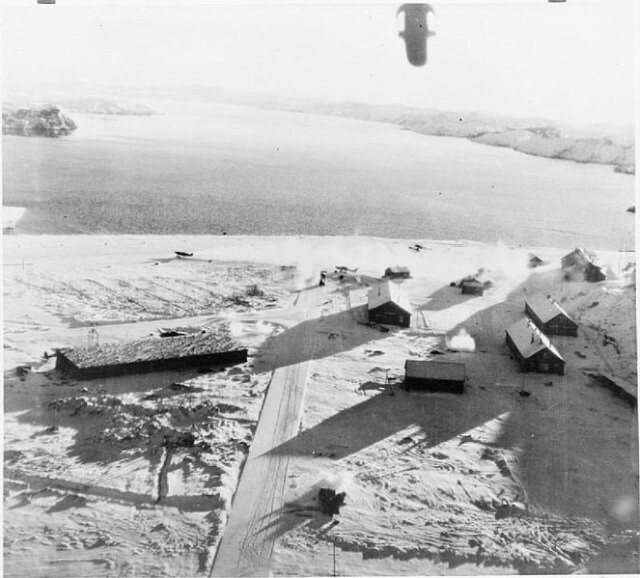 The 1st landed at Hollevik in South Vågso to destroy the German base. The 2nd landed to the south of Måløy to take out a German barracks, while the 3rd attacked the town. The 4th and 5th were taken by the HMS Oribi north of South Vågso to Ulvesund to deal with German reinforcements. They blew up the road and the telephone exchange. 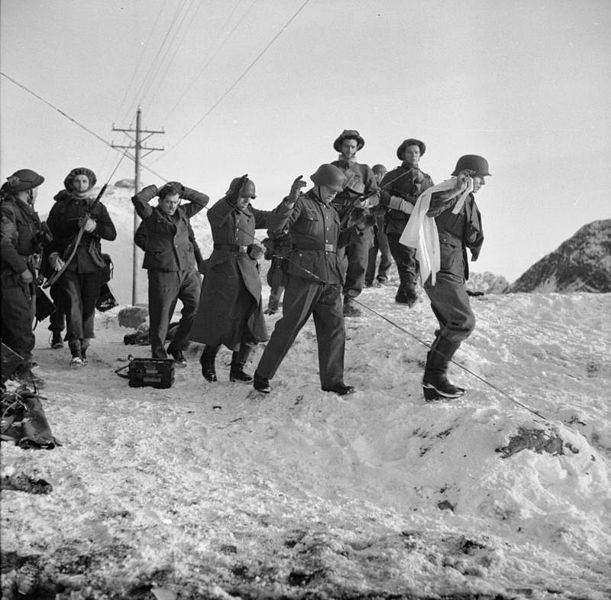 The fighting was over by 9:10 AM as many Germans were at Måløy having breakfast, they were unable to join the battle. At Måløy, the Germans were also taken by surprise, but they fought well. Fighting was from house to house and street by street, when one of the Gebirgsjäger shot Linge who died. By 1:00 PM, it was all over. The power and wireless stations, factories, coastal defenses, and one lighthouse had been destroyed. Nine ships carrying 15,000 tons of supplies were sunk, while four Heinkels were shot down from the sky. The airports at Herdia and Stavanger were also bombed. The Allies lost 70 men, 17 of whom were commandos. The Germans lost 150, while 98 were taken as POWs, as were another 4 Quislings. At 1:45 PM, the withdrawal began, which was joined by 71 patriotic Norwegians who wanted to fight with Britain against Germany. The raid was enough to persuade Adolf Hitler to divert 30,000 troops to Norway and to upgrade coastal and inland defenses. Hitler thought that the British might invade northern Norway to put pressure on Sweden and Finland. In the last months of WWII, 600,000 Wehrmacht soldiers were still deployed in Norway and Denmark, which was where the Allies found them when the war finally ended. They had not been able to fight either on the Eastern and Western front. Operations such as Archery had therefore achieved their objectives by keeping a large German force out of the front lines and making the Allies victory that bit easier.